S/Sgt. 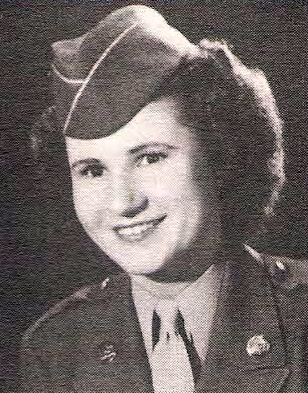 Virginia P. Petty, daughter of Mr. and Mrs. Al Petty, Bunger, graduate of Graham High. Entered WAC in 1942, trained at Ft. Des Moines, Iowa. Served in USA. Awarded GC and Victory Medals, Amer. Campaign Medals and WAC Ribbon. Discharged in 1945.